Then I stopped. I just wasn't into it any more. Maybe I was over it. Whatever. That was a few years back. Can't really say I've missed them at all since. Then the other day I got to thinking: what about a hockey fantasy league where you want to get players who DON'T score? Or goalies who give up LOTS of goals? Sort of an anti-fantasy league. I'm not talking about players who get scratched. I'm talking about deadbeats: players who dress and play, but don't score. Think about it: that's not as easy as it sounds. Eric Nystrom last season would have been MONEY. Nyzer played in all 82 for the Wild, but put up only 4 grapes and 8 apples. But his 0.14 pts/gm last season were actually WORSE than his career 0.17 pts/gm (including last season.) And, taking out last season, his career points per game is 0.19. That kind of non-production is worth celebrating, no? And lo, the Anti-Fantasy Hockey League was born! You'll draft 10 players (minimum 2 G, 2 D and 3 F) and then field a team of 6 every week. 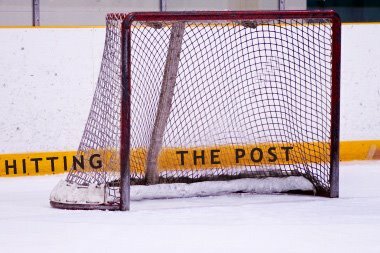 You want skaters who play but don't score, and goalies who play and let in a lot of goals. You get a bonus for TOI (the higher the TOI the higher the bonus) and salary cap hit (the higher the cap hit, the higher the bonus). So you have an incentive to go after the players who arguably SHOULD be producing (e.g. because they get payed and/or played more) but aren't. The AFHL is located over at GTRCMBSHP. It's free to sign up for the message board, and free to play in the league. GTRCMBSHP also happens to be a nice little hangout spot for Wild fans and hockey fans in general. Come check it out and let me know if you're interested in playing as the draft will take place before the regular season starts.